Does anyone know you better than you know yourself? Probably not. That's why we don't provide a 'one solution fits all', but the support you need to discover where your interests and skills lie, and help further your development. Find out more about our 24-hour Aegon Hackathon in Mumbai, Budapest and Dallas in 2018. During 2018, we spent over €12.5 million on training and career development programs for our employees around the world. In addition to formal training we also offer global programs, international assignments, on-the-job training, coaching, self-discovery and a wide variety of other programs are readily available to help you develop. Working in an international environment, where you're encouraged to voice new ideas and to make things happen, you will also learn from best practices established by colleagues around the world, and by doing. We'll give you the scope to test and experiment with new innovations, work in (global) project teams made up of different functions and nationalities, and give you the opportunity to listen to our customers or other stakeholders. 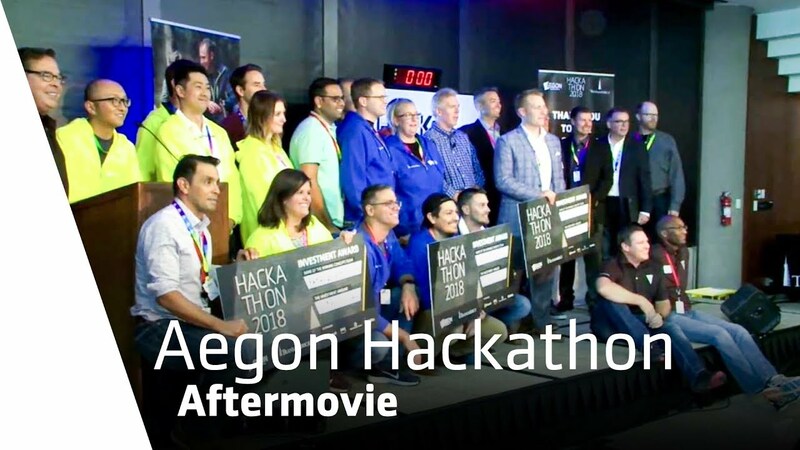 We held our third annual Aegon Hackathon during 2018, expanding the 24-hour coding and innovation marathon to three locations, Mumbai, Budapest and Dallas, on September 20-21. Aegon employees and external participants from around the world came together in 36 teams to test their digital skills to the limit. After just 24 hours, six teams per location had three minutes to pitch their idea, demonstrate their prototype and explain the business case to an expert jury. Some of the winning ideas may be taken further. In many of our businesses around the world, we also have formalized groups to encourage innovation. In the United States for example, we have Innovation Hubs, designed to speed up the implementation of innovative ideas. Innovation Hubs are put together using employees from all levels and functions within the organization. And in the UK we use "Hubs", which give employees live and instant access to a customers, potential customers or adivisors, to test anything from a new concept to whether the content of a letter is clear.